Connect RSS feeds to all your social media profiles. Auto post to Facebook, Twitter, LinkedIn and more. 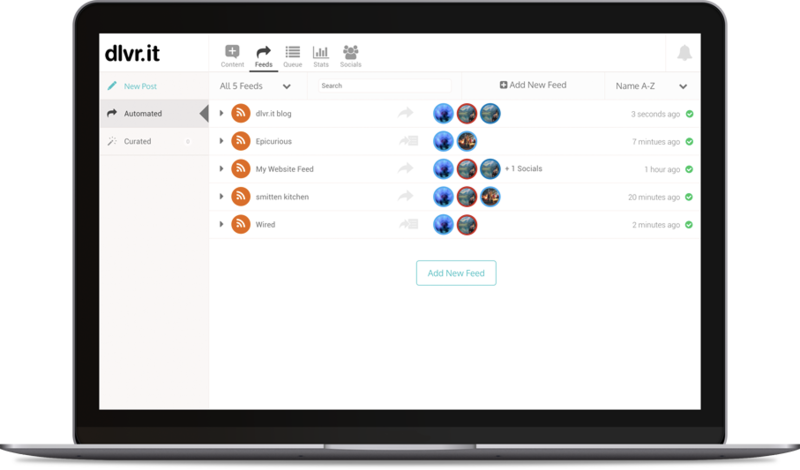 Automatically share photos, articles and videos across all your social networks with no effort. 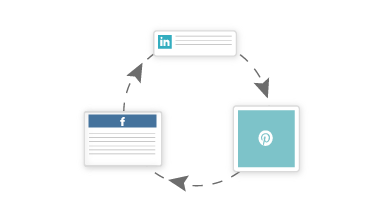 Automatically recycle your best social media updates. Add your articles, blog posts and photos to EverQueue. After we post an item, it's recycled right back into EverQueue. Your social media queue never runs dry. Search across Twitter, Facebook and the web for the top articles, blog posts and photos. Instantly import and schedule 100+ tweets and Facebook posts into your social media queue. Customize your posts with hashtags, attribution and more. 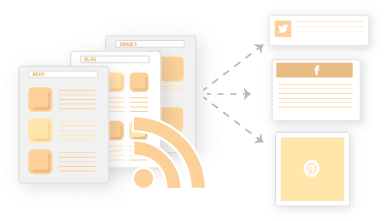 Connect RSS feeds to all your social media profiles. Auto post to Facebook, Twitter, LinkedIn and more. Automatically post photos, articles and videos across all your social networks with no effort. Automatically recycle your best evergreen marketing content. Endlessly. Add your best articles, blog posts and photos to EverQueue. After we post an item, it's recycled right back into EverQueue. Your social media queue never runs dry. Search across Twitter, Facebook and the web for articles, blog posts and photos. Instantly import and schedule 100+ of the best items into your social media queue. Customize your posts with hashtags, attribution and more. dlvr.it automatically scans your RSS feeds and other trusted content sources for new articles, blogs and photos. We auto post the latest items to Twitter, Facebook and your other social media pages right on your schedule. You save hours each week. And more of your friends, fans and followers see more of your best content. Automatically share new content with your friends and followers. No hands required. 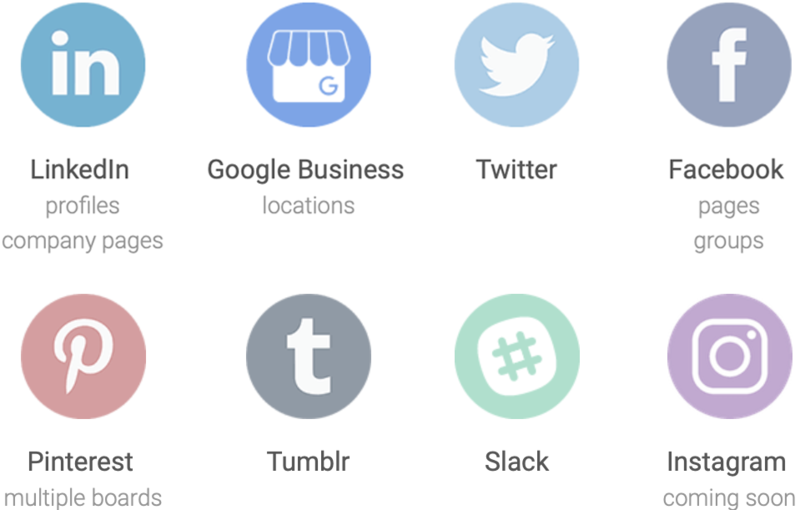 Find and share content from around the web without leaving your browser. Import and Schedule your top blog posts for sharing and resharing on social media. Track traffic growth to your website and beyond with Google Analytics link tracking and reporting. Automatically share bit.ly links with every post. Short and to the point. Stay Ahead of Social Media. Effortlessly.